Derek and his partner Jan are now both retired but in their professional lives, spent 30 minutes away in Newcastle Upon Tyne, they enjoyed high-speed internet browsing, streaming and downloading large files with ease. Retiring to their remote home three miles from the nearest village, with no street lights or buses, they knew there was a price to pay for tranquillity but life without connectivity was proving harder than they had hoped. Website pages crashed, video streaming was impossible and they could only just about send and receive emails. Derek looked into a satellite broadband option but heard about an alternative solution when talking to a neighbour. 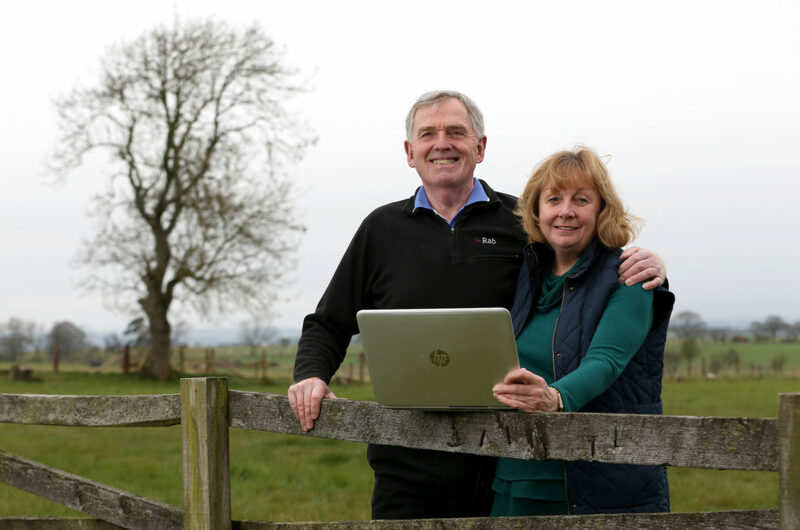 A nearby village had been connected to superfast broadband which gave them the option for fixed wireless access. After speaking to a local supplier, Alncom, they applied for a Better Broadband Voucher towards the cost of installing an antenna on the chimney that would relay the faster connection. Alncom rural broadband installations can be subsidised with BDUK grants. Our rural broadband network has coverage in the Scottish Borders, throughout Northumberland then into County Durham.